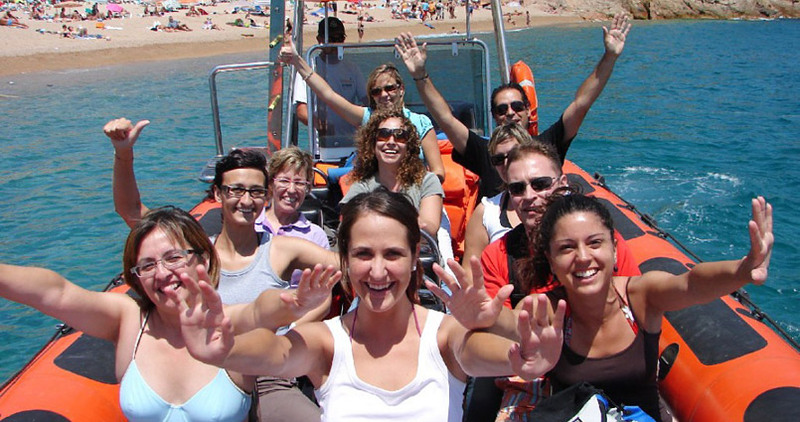 Girona Events - Activities and adventure Costa Brava, Lloret de mar, Tossa de mar and Girona. You’ll stop off at some of the secluded bays along the way and visit an authentic 1930s smuggler’s cave, where you can jump in and swim (see cave swimming). The excursion lasts about an hour and a half and your stags will be the only group on the boat, guaranteed. Combine pure thrill and tranquillity and have an amazing stag sea adventure! Perfect choice for your girl's weekend away in Spain and teambuilding in Spain.